Home > VoIP Support FAQ > VoIP Phones > How do I set up a Yealink T series IP phone? 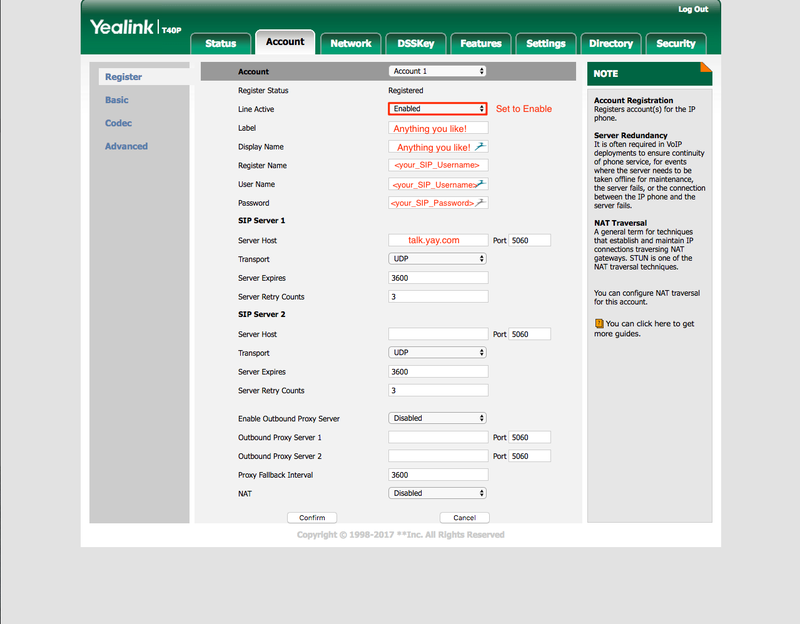 How do I set up a Yealink T series IP phone? 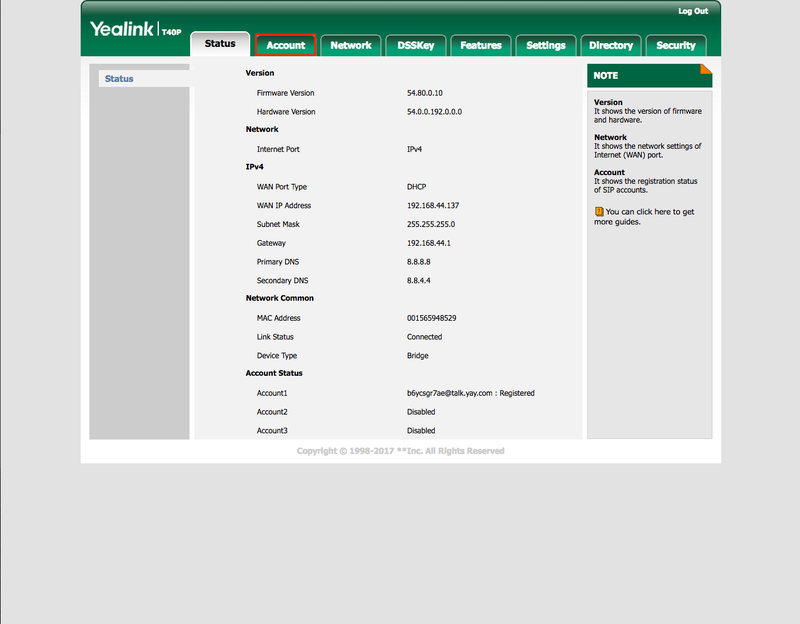 Note: Below are T40 screenshots, but the setup for all of the Yealink T Series is exactly the same! To setup your VoIP account on your phone you will need your SIP User <your_SIP_username>, <your_password> and host talk.yay.com. Introducing BYOD or Bring Your Own Device to your business can help enhance your business and bring increased flexibility and satisfaction to your workforce. Discover the uses and benefits of using Power over Ethernet (PoE) in your Hosted VoIP network and beyond. Check out our guide to choosing the right VoIP phones for your business for a lowdown of the important factors to consider when investing in VoIP phones.